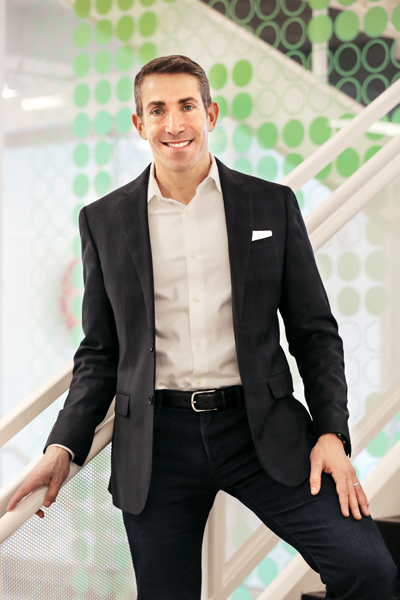 Adam Coyne stepped into the role of chief administrative officer at Mathematica Policy Research and immediately recognized a need to formalize its culture. He entered the company at a time when many longstanding executives in the business were retiring and recognized that fresh insights were necessary to sustain the company’s lifeblood. A natural storyteller, Coyne treated this undertaking as though he were designing the outline of the company’s future. What is the message behind Mathematica’s work? Which values act overwhelmingly like protagonists to strengthen the company’s mission? Which values act more like supporting characters? Once these questions were answered, details to support specific values would fill in naturally. To successfully develop the company’s new and improved culture, he used a leadership method that combined the “Three H’s”: head, heart, and hands. The first step in defining a culture relies on initially assessing a need, then mapping how to arrive at a final product. To Coyne, the “head” includes determining a strategy and vision to correct a problem. Through this process, he recognized strategic disconnects in processes in the realm of benefits, IT and data-analytics strategy, and training and development programs. Employees, for example, were interested in more transparent, versatile health benefits options. They were also interested in on-demand training courses and a formal mentoring program. Staff inherently understood that technology was integral to the company’s future but didn’t know what that looked like. In terms of culture, Coyne noticed that values held in high esteem among some employees weren’t considered integral to others, causing a lack of harmony in determining the merit of certain values. With these notes in mind, he was able to strategize how to appropriately define a culture that applied to everyone. Once he’d assessed the need to specify values and address problem areas, Coyne started to conceptualize how to convey his purpose to the team. He says the “heart” portion of his strategy speaks to why his team should follow. It’s the area where Coyne shows his team why he is passionate about changing a specific practice or accentuating a certain value, and how their lives and culture will improve as a result. Coyne believes this part of the equation is crucial in proving his passion for a project. “If you don’t genuinely believe in what you are doing and have the passion and commitment to get there, your people will know,” he says. In other words, a team member should never wonder why they are following someone’s lead. Excitement to work on a project should trickle down the ladder from executive to associate, and never lose meaning or purpose. When the seeds of the project are planted, the next step is to begin. The “hands” portion of the plan, Coyne says, means rolling up your sleeves and getting the work done. Undoubtedly, this stage changes based on the project. For a structural change, Coyne stresses the importance of collecting all essential players in the game, and emphasizing to team members along the way that they are not alone in finding a solution. Establishing values, on the other hand, meant that Coyne’s next step after creating a new language for Mathematica was to ensure that everyone knew how to speak it. He distributed brochures that detailed the new values and expected behaviors, then walked through the information at an “all-hands” meeting so that everyone understood it. The company also created a “culture page” on their intranet where staff could find the values and supporting behaviors. 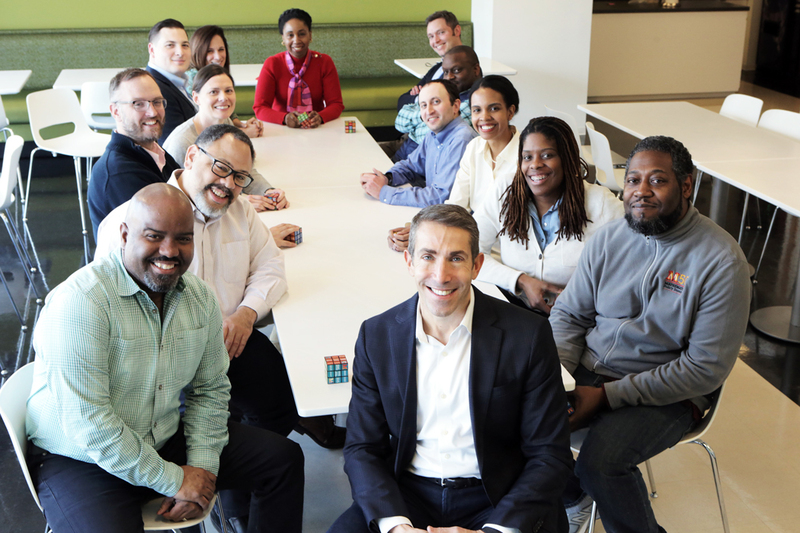 In addition to intellectually driving the new principles in place, Coyne encouraged his staff to literally use their hands to learn the language using customized Rubik’s cubes that had the core values on them. Not only was the project whimsical and fun, but it aligned closely with the company’s brand identity as intellectuals. Throughout all aspects of business strategy, and even sometimes in his personal life, Coyne remembers to act with the “Three H’s” in mind. Using this method, Coyne says that he has built legions of new knowledge, gained empathy for the work each staff member does, and earned different levels of respect from his colleagues. His compassionate outlook for his team provided value to all levels of the operation and stimulated the flywheel of good change.